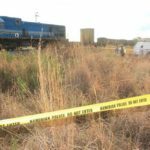 The bizarre death of two farm workers on the railway tracks near Kombat shortly before Christmas was followed a few days later with an equally strange incident involving two women and a train at Karibib. According to the Public Relations Division of the Namibian Police the latest incident occurred at 04:00 on the 29th of December near the Engen Service Station when the 31-year-old Scandia Doeses was hit by an oncoming train while she and another woman sat on the tracks while drinking beer. Doeses sustained scratches and bruises on the arms, legs as well as on her back. She was taken to Usakos State Hospital for medical treatment and is reported to be in a stable condition. 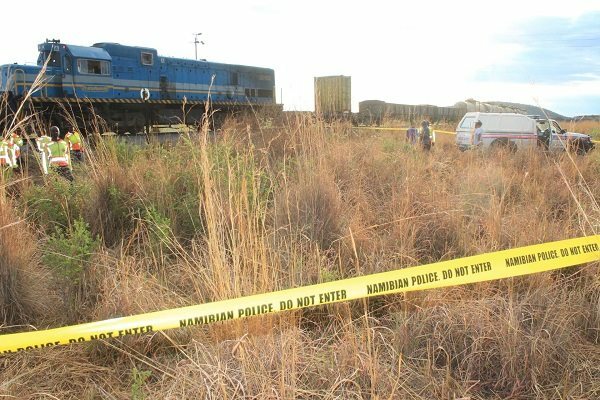 A few days prior to the incident at Karibib the 57-year-old Alfred /Uirab and Alex Muhara (29) died a horrific death when a train on its way Grootfontein to Otavi drove over them while they were allegedly sleeping on the tracks near Kombat. It is suspected that the men were under the influence of an intoxicating substance when the tragedy occurred.